How to stop being afraid to scan the fetal heart? 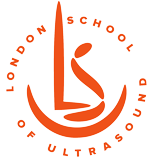 Advanced course for fetal medicine and ultrasound professionals, obstetricians, fetal medicine midwives and sonographers. The aim of the course is to provide ultrasound professionals with substantial skills and knowledge to facilitate correct diagnosis of congenital heart defects (CHD). The course is absolutely practical, and it based on a generous amount of CHD video clips, live demo scanning and quiz. Exclusively designed for ultrasound enthusiasts and will be delivered in small groups. Delegates will benefit from the exclusive facilities of the GE Healthcare Academy and the latest Voluson’s ultrasound technology. Please note that due to the limited number of places, the applications will be treated in order of arrival.